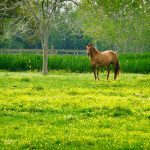 Lay Dentistry and Your Horse: Are Equine Lay Dentists Worth the Risk? Regular preventative dental exams and equilibrations (or “floating”) are an important part of your horses’ preventative health care plan. While we have discussed the necessity and benefits of this type of regular healthcare before, the question of WHO should provide this service has been coming up more often in our practice, so we will take a little time to address the issue here. We understand that this can be a contentious issue, but we feel it’s important that horse owners are fully educated about the impacts that can come from using lay dentists for equine dental work, but on their horses’ health, and on the owners’ wallet. Many people have their regular veterinarian perform the dentistry examination, diagnosis and treatment for their horses. There are also some veterinarians with a dedicated “equine dentistry” practice who do nothing but work on the mouths of horses as a specialty. Once you’ve done your due diligence to get a feel for whether or not a given veterinarian will be a good fit for you and your horse, either of these choices would be good ones. These are highly trained and licensed medical professionals with an extensive knowledge and understanding of all facets of equine medicine. However, a recent trend has arisen that involves NON-veterinarians performing the work on the horses’ mouth, with or without the supervision of a veterinarian. Many of these “lay dentists” have been certified by lay equine dental schools, but are not themselves veterinarians, nor are they licensed by the State of Colorado for any type of equine veterinary work. 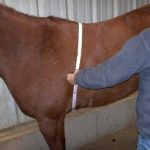 Many horse owners are unaware that in the state of Colorado, only a LICENSED VETERINARIAN may diagnose, prescribe, perform surgery, or initiate treatment. “Veterinary personnel” are allowed to assist with dentistry but require “direct supervision” of the veterinarian. Some lay dentists will claim that they are “veterinary personnel” and are under the direct supervision of a veterinarian who does not have an interest or passion for that type of work. But horse owners should understand that “direct supervision” as interpreted by Colorado law means that the veterinarian should be standing nearby to direct the personnel in their work, not 50 miles away at another farm call. Unfortunately, I have seen the work of some of the lay dentists that are popular in our area, and in many instances I’ve had to correct or otherwise fix problems that have arisen as a result of their work. I feel that they are actually HARMING horses with the “work” that they perform. These lay dentists run the risk of causing long term damage to your horse’s overall health, in addition to short term comfort issues when they damage teeth and injure the structure of teeth without proper cause or reason. Understand that if anything were to go wrong during a dental procedure – from a painful fractured tooth, to a problematic mis-alignment of the horses’ mouth – a “lay equine dentist” is not qualified to correct or properly diagnose these problems. Nor are they qualified to administer any medications that would help your horse with pain or infection. I have personally seen horses that have been over-floated – a condition where the actual sensitive nerves of the teeth are exposed – and caused the horses to go off their feed and not eat for a week. This is not only very painful for the horse, but it opens the teeth up for possible infection. I have also seen horses that had improper incisor alignment performed, which lead directly to a very sore temporal mandibular joint (the TMJ) and neck issues as a result. In these instances, I feel terrible for the horse, who is uncomfortable and ill. I also feel terrible for the owner, since they paid someone for a “professional service” and are now left with no recourse since that person has no license or responsibility for their actions. The American Association of Equine Practitioners (AAEP) has visited this very subject and they have a position statement on equine dentistry and WHO should be performing this service for your horse. We’ve posted it below. American Association of Equine Practitioners – Position statement on equine dentistry: “The practice of equine dentistry is an integral branch of equine veterinary medicine. This discipline encompasses all aspects of diagnosis, treatment, and prophylaxis of any and all equine dental conditions and diseases that affect the oral cavity, mandible and maxilla, teeth and associated structures. As such, it falls within the purview of veterinary medicine. Dentistry is not just about teeth.There is a reason that equine dentistry is part of veterinary practice. The teeth and structures of the mouth have an effect on all other areas of the horse, from balance to lameness to oral disease. Would you go to a dentist that wasn’t a fully trained doctor to get your root canal taken care of? Would you be comfortable even having your teeth evaluated by a lay dentist for humans? The next time you are looking into “lay equine dentists” consider if a lay dentist is really what is best for your horse’s mouth, AND their long term health.